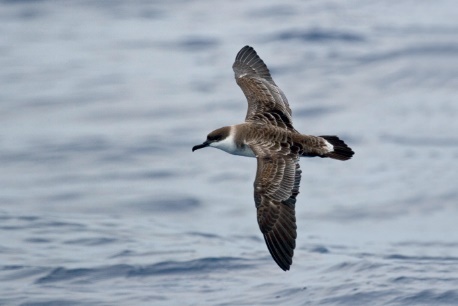 Shearwaters are among the dead seabirds found in the Bay of Plenty. Dead petrels and penguins washed ashore in the summer storms this year are dying because they are starving, says NZ Fishing Council member Graeme Kensington. The birds were found dead following rough weather, and are generally presumed to have succumbed to the conditions, but Graeme says that’s not so. The birds die because they are already weakened by starvation and the weather just picks them off, says the 73-year-old, who has been fishing in the Bay of Plenty for most of his life. Out of balance The seabirds are in poor condition because over the past 50 years, a fishing method called purse seining has put the ocean surface out of balance because their target fish, predators like kahawai, trevally and mackerel, have been severely reduced in numbers, says Graeme. “These are the fish that keep small fish on, or near the surface for birds to feed on,” says Graeme. “Sure we have a bit of rough weather, but it is sad to think these birds are not in good shape to withstand this. “To say the dying birds are part of the natural order would be correct if the seas around New Zealand were in balance, but they are certainly not. ” The first time Graeme saw large numbers of sea birds dying of starvation was in 1989-90. The losses were in the hundreds; all species, shearwaters and petrels. At the time the Department of Conversation did comment but could not give a reason, says Graeme. As time went by it become obvious the birds were being starved to death and the finger was pointed at purse seining. 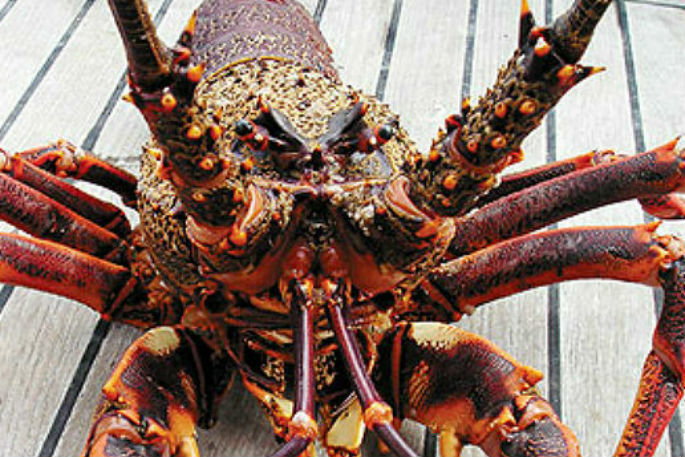 “We’re part of the New Zealand Sports Fishing Council, which has been advocating the cause of the problem going on five years now. It’s been a bit of a hard road,” says Graeme. “I’m pointing out the environmental aspect of this and it is a disaster. If we can’t stop the purse seiners, we won’t have a sport fishing activity. “We all acknowledge the predator fish are being removed from the oceans at such a rate that there’s nothing to support the birds that naturally feed on them. ” With the predatory fish removed from the food chain, there is nothing to keep the smaller fish on the surface. There are particular birds that feed on the smaller fish that are really vulnerable, says Graeme. “One old guy down there, Bernard Sladden (noted wildlife ranger historian and naturalist, died 1961), told me one thing. You can tell the health of an ocean beach by how many Caspian terns are on it. “He told me this when I might have been eight or nine something like that. “I look at our beaches at Matarangi and we have got one pair. Their fishing area is in the broken water on the ocean beaches or in the little harbours like Whangapoua Harbour in the back. “And they’ll feed in there just on dusk. But normally they will feed up and down the breaker line. They are very selective in areas. They are not an ocean bird like a gannet. ” Lack of boil-ups Graeme is also concerned about the lack of boil-ups, where bait fish are brought to the surface by school fish feeding on them. The phenomenon attracts sea birds that also feed on the bait fish, and can bring in larger predators like game fish, and marine mammals. “We did the nationals last year and we did just over 1100km in the eight days. We fished in the back of Cuvier and up into the north around 40 mile out the back of Great Barrier. “Four, five guys on the boat can verify we never saw one bloody work-up the whole time we were there, it was just unbelievable. ” Forest & Bird seabird advocate Karen Baird says there is as yet no evidence to support Graeme’s concerns, but research is underway. No direct evidence yet “There is no direct evidence yet that this is the case. There’s lots of anecdotal reports, such as by this guy who’s been around a long time so he will have noticed declines in the frequency and size of boil-ups. “You can’t dismiss anecdotal evidence. It is frustrating because we don’t have any standardised information about how frequent previous boil-ups were and how big they were. ” There has been a lot of purse seine fishing in the Hauraki Gulf and the Bay of Plenty and it is something both Forest & Bird and the Department of Conservation has been concerned about, says Karen. “And there is research underway about the linkages between sea birds and boil-ups, to get an idea about what is the nature of that association and how important it is for sea birds, particularly when they are foraging for their chicks. “So there is concern, but at the moment we don’t have any direct evidence. You have this gathering storm of all sorts of things that are making it difficult for seabirds and it’s very difficult to separate them out. “Graeme is right to be concerned and there is research underway. My husband Chris Gaskin is also a seabird person involved in doing some of that research. ” People who have been around for a while do notice changes and it is their observations that lead to people being concerned, says Karen. “So it is important to acknowledge that yes, there probably has been that decline and we are looking into it.